Disclaimer: Before I start this post I just want to say that although I will try my hardest to give a review which is spoiler-free, due to the nature of the story there may be some small spoilers in here! So if you want to go into the book with no preconceptions I suggest that you don't read any further than this point for your own peace of mind! 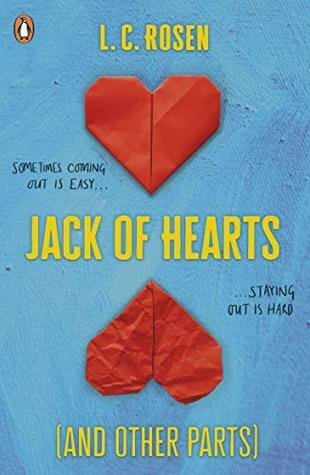 Horror YA romance was always going to be an interesting mixture, so when I picked up a proof of this at YALC I was certain that I'd need to keep an open mind throughout! I haven't ever read a book by Stephanie Perkins before so I can't make direct comparison but I know that this is very different, largely because I imagine most of the others don't have lots of murder in! I'll admit that I am quite a wimp when it comes to horror/thriller books so I haven't read a huge number and I've seen several reviews saying that people didn't find this terrifying enough for them but personally I think it had enough scary bits and gruesomeness to keep me satisfied! It definitely isn't the scariest book that I've ever read and possibly a bit more suspense would have made it better but it is by no means PG either. Makani was an interesting main character and learning about her past as well as her current friendship group was something that I really enjoyed and as a group they were quite diverse which is always something I welcome! I also loved Grandma Young as a character too she was good fun and I thought she was brilliant! Unfortunately I didn't feel like the book gave me enough mystery and the 'reveal' came at kind of a weird point in the plot too which I kind of struggled to get my head around, I suppose this may come from the fact that it's Perkins' first book in this area, or maybe it's just me being too obsessed with Midsomer Murders and being too picky! The romance between Makani and Ollie was quite fun to read about and it was equally interesting to learn more about Ollie's character but I'm not entirely convinced that it really fitted with all of the gore at the same time? It's the sort of thing that may have made more sense if it was on screen rather than in a book? But I'm really not sure because I can be very picky with my romance anyway! 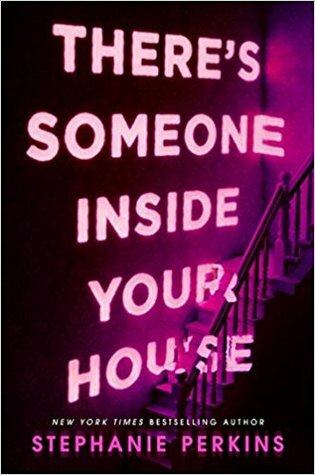 Overall, There's Someone Inside Your House was a different book to anything which I've read before, it had interesting characters and enough horror-ness to keep me happy! The romance was a bit strange and I don't know if YA Horror Romance is something I would seek out again but it is definitely worth you giving it a try! Have you read There's Someone Inside Your House? Or any other books by Stephanie Perkins that you think I may enjoy? Let me know any of your thoughts in the comments below! I love your review, it's very balanced. I enjoyed this book OK myself, but I think I'd gone in expecting more.